Conceptual artists/pranksters/makers of really good early ‘90s ambient and dance-pop the KLF went away for many years, and then announced their return via wheatpaste in January. 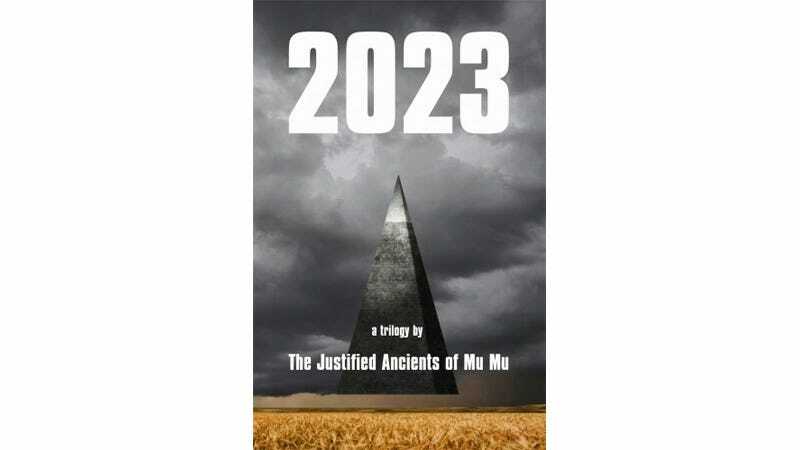 Down through the epochs and out across the continents, generation upon generation of the Justified Ancients of Mu Mu have told variants of the same story - an end of days story, a final chapter story. But with one hope, even if the hope at times seems forlorn. REMEMBERED - TOLD - TRANSCRIBED for K 2 Plant Hire Ltd.
KLF members Bill Drummond and Jimmy Cauty previously published the cult how-to The Manual in 1988, which, was, as Wikipedia describes, “a step by step guide to achieving a No.1 single with no money or musical skills.” If 2023 is half as enjoyable, it will still be amazing. Be excited.